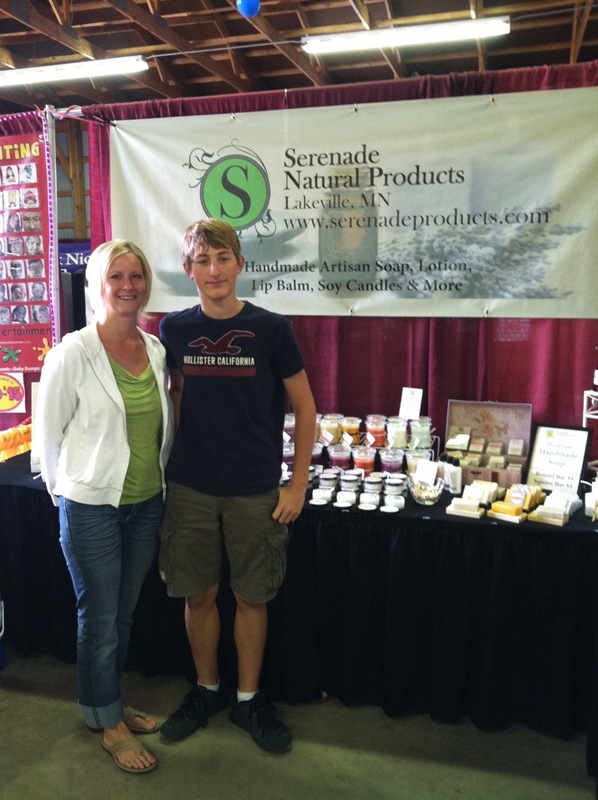 ← Dakota County Fair is right around the corner………..
Congratulations to Karla from Apple Valley, the winner of the $20 gift certificate for the Serenade Natural Products drawing at the Dakota County Fair. What a great week at the fair! Although the 12 hours days grew long, I really had lots of fun getting to know my fair neighbors. I sat next to the most amazing artists www.paintertainment.com who did face painting all week for kids and a few adults who were maybe kids at heart. My niece Zoey came to the fair with my sister and see got her face painted. She loved it! I got to chat with Carol and Harold from Cruise Holiday South Metro who gave me many ideas for a great winter vacation. My neighbor, Joy, from Trinity Care Campus in Farmington, was a “joy”, as always. The Dakota County Gun Club was right across from me and invited me to a their Ladies Day at the gun club. I read two books, The Tree Spirited Woman by Colleen Baldrica, a local author and the classic, To Kill a Mockingbird. Both books were really great reads. I don’t know if I ever read To Kill a Mockingbird as a kid, if I did I really don’t remember. It’s a great story from the child’s perspective about growing up and learning tolerance and life lessons about respect, self-worth and equality. I also played a lot of solitaire on my phone. And the food, of course was delicious fair food; cheese curds, a pork chop on a stick, cotton candy, just to list a few! The best fair food find, had to be an amazing cupcake from A Cupcake Social www.acupcakesocial.com food truck. It was strawberry shortcake with real strawberry filling and buttercream frosting. DELICIOUS! Good thing I didn’t discover them until Saturday or I would have eaten many more. Thank you to all my repeat customers who came out to visit us at the fair. A huge thank you to all our new customers who were excited to try our handmade soaps and bath & beauty products. I have to thank my kids for helping keep each other occupied while I was gone all week and for Gabe, who helped do all the heavy lifting and set up at the fair. 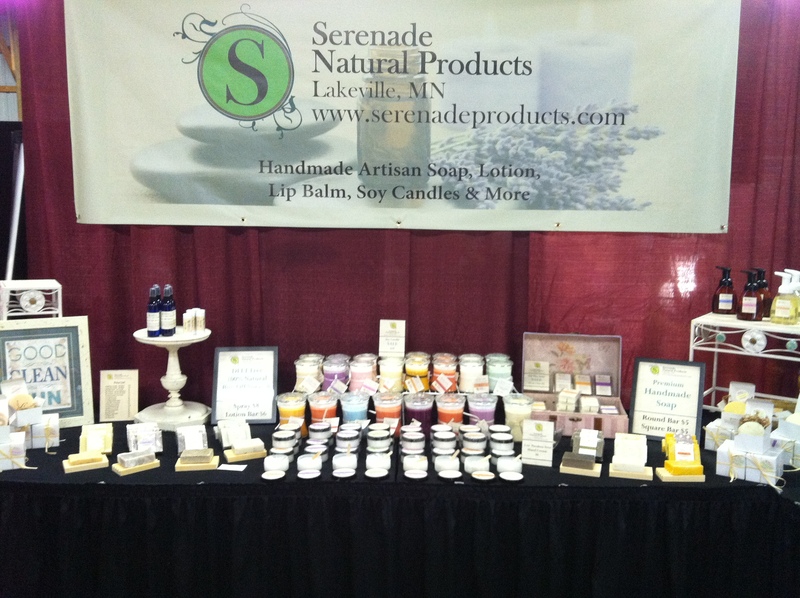 Remember, you can find Serenade Natural Products online all year-long at www.serenadeproducts.com. Look on my Events and Shows page for my local schedule. I’ll be updating it often as our Holiday schedule is set. This entry was posted in 2012 Shows & Events and tagged cheese curds, cupcakes, Dakota County Fair, drawing winner, fair food, farmington, handmade soap, handmade soaps, lakeville, MN, natural soap, pork chop on a stick, spirited woman, strawberry shortcake, To Kill A Mockingbird. Bookmark the permalink.